If Instagram had been planning on ‘putting one over’ Snapchat, it could not have picked a more perfect timing than the preliminaries of the Olympic Games in Rio de Janeiro. The media furore, and the excuse for everyone at the Games to document literally every story at the event seems like a masterstroke on Instagram’s part. With Instagram already a mammoth platform for all pictures and videos curated, Snapchat’s coverage of the Super Bowl and the Academy Awards earlier in the year may have been the justification that Instagram needed for its acknowledgement of storytelling as the penultimate chapter in its fight for social media dominance. “The Olympic Games are the kind of event you live through and experience through the device you’re accessing the most, and in today’s mobile climate, this is probably going to be your mobile phone – more so if you don’t have time for TV. And to be able to see stories and content being created and accessed when the action is actually unfolding is something we believe raises excitement levels to the roof.” – Forbesfone, Contributor at Forbes Marketplace. 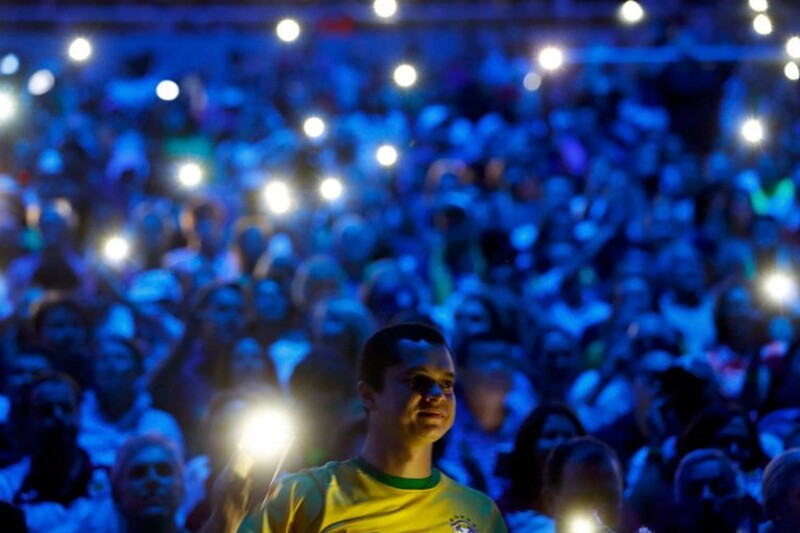 Samsung, which is the mobile phone sponsor of the Rio Games, has been selling its handsets to the hordes of people that have come to grace the event in Brazil, and it seems like Apple wants a share of the fun too. The Cupertino giant has parked about 10 kilometres away from the main Olympic park, negligible distance for the athletes and their voracious fans alike. Their offering to the atmosphere is special-edition Apple watch bands, which come in 14 different national team colours. “While they don’t appear to be breaking any rules, they appear to be getting really close to the edge of ambush or guerrilla marketing,” said Jeff Benz, who hails from International dispute-resolution firm JAMS, and once served as general counsel at the US Olympic Committee. Many of us who can’t be at the Games though, will be contributing our narratives from far beyond Brazil, something that the organisers of the current games foresaw back in 2012, when they drafted a strategic communications plan clearly outlining the relinquish of storytelling power not only to journalists but to the general public on their mobile phones as well. “Citizens who publish content on the web are the ones who will ultimately define the success of the Games.” – International Olympic Committee (IOC). It is important at this juncture though, to point out that the mobile phone alone will not be dominating audiences worldwide, but it serves as an important, albeit alternate form of storytelling to the television. América Móvil, one of the leading wireless service providers in Latin America, which also happens to be fourth in the world of equity subscribers, decided that the time was ripe for the country to get a boost for the Olympic and Paralympic games. Under its umbrella, are mobile operator Claro, cable TV operator NET, and telecom services provider Embratel, who all recognise the sheer volume of data that will be in use at the events. While the Olympic games has been the ultimate celebration of the progress and achievement of athletes and their countries over the years, the very same can be said about the mobile phone’s relentless journey in challenging innovation and boundaries.